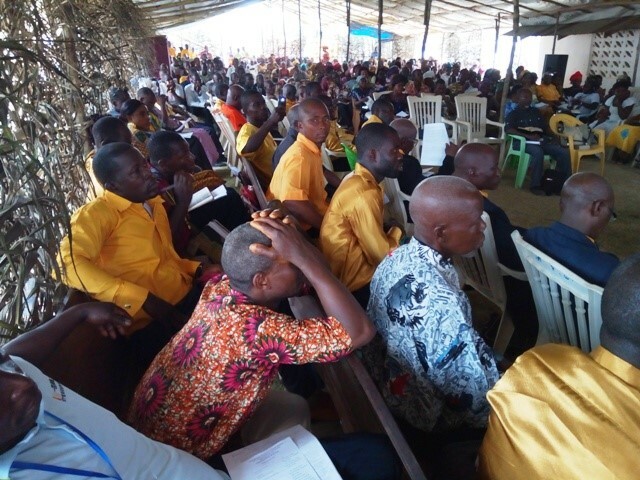 The Evangelical Church of Liberia (ECOL) is a collection of churches that SIM missionaries and many Liberians started to plant in the mid-1970s. Leaders of these churches became involved in evangelism and church planting, was organized as a denomination in 1997. This denomination now has eight districts that comprises over 100 churches, 45 preaching points, 6,000 baptized members, and an average weekly attendance of over 17,000*. Participants at the ECOL Feb. 2018 training conference. Click here to see more photos from the conference. To visit the now-retired ECUL website (created in 2005), click here.